Springhill Group: Warning! Cigarette Smoking is Dangerous to your Health! Warning! Cigarette Smoking is Dangerous to your Health! Did you know that the leading cause of premature death in the United States is no other than cigarettes? A preventable death but it claims almost half a million lives each year. To the extent that the government required larger and more prominent warnings on cigarette packaging and advertisements as part of the strategy to help consumers quit smoking and prevent young people from starting. But despite of this it seems like tobacco users are not conscious about it. 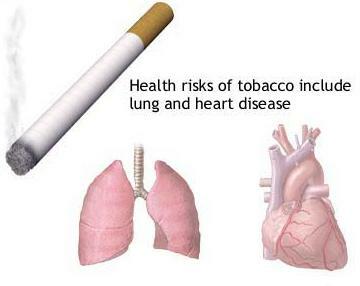 The effects of cigarette smoking to human health are really serious and in fact deadly. There are approximately 4000 chemicals that are present in the chemical composition of cigarette and hundreds of which are toxic. Smoking effects on the human body are destructive and widespread. The ingredients in cigarette affect everything from the internal functioning of the organs and target the efficiency of the body’s immune system. Smoking harms nearly every organ of the body. Smoking causes many diseases and reduces the health of smokers in general. Here are some facts cigarette smoking can cause you. Toxic ingredients in cigarette smoke travel throughout the body, causing damage in several different ways. Carbon monoxide binds to hemoglobin in red blood cells, preventing affected cells from carrying a full load of oxygen. Cancer-causing agents (carcinogens) in tobacco smoke damage important genes that control the growth of cells, causing them to grow abnormally or to reproduce too rapidly. The carcinogen benzo(a)pyrene binds to cells in the airways and major organs of smokers. Smoking affects the function of the immune system and may increase the risk for respiratory and other infections. There are several likely ways that cigarette smoke does its damage. One is oxidative stress that mutates DNA, promotes atherosclerosis, and leads to chronic lung injury. Oxidative stress is thought to be the general mechanism behind the aging process, contributing to the development of cancer, cardiovascular disease, and COPD. The body produces antioxidants to help repair damaged cells. Smokers have lower levels of antioxidants in their blood than do nonsmokers. Smoking is associated with higher levels of chronic inflammation, another damaging process that may result in oxidative stress. Nicotine reaches the brain within 10 seconds after smoke is inhaled. It has been found in every part of the body and in breast milk. Due to these facts, it is now known that cigarette smoking is deadly. An estimated 443, 000 deaths, or nearly one of every five years, each year has been noted in United States alone. It is more than the deaths caused by human immunodeficiency virus (HIV), illegal drug use, alcohol use, motor vehicle injuries, suicides, and murders combined. Smoking causes an estimated 90% of all lung cancer deaths in men and 80% of all lung cancer deaths in women. An estimated 90% of all deaths from chronic obstructive lung disease are caused by smoking. This is very bothering. That is just some of the diseases that one can get from cigarette smoking. Smoking can also increased heart heath risks, cardiovascular disease, respiratory disease and cancer not to mention infertility, preterm delivery, stillbirth, low birth weight, and sudden infant death syndrome (SIDS).